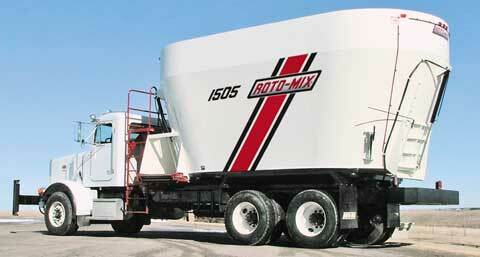 Model 1105 is a twin auger vertical mixer with a mixing capacity of 900 cu. 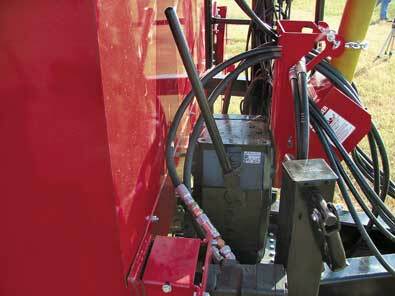 ft. and it can hold a maximum load with a heavy ration up to 22,500 lbs. The 1105 is available in either the A-Series that includes variable speed auto-mix drives with proven Allison transmission performance or the H-Series that is equipped with variable speed hydrostatic drives and load-controlled auger speeds. 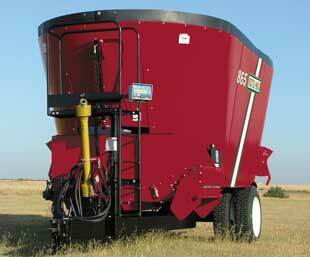 This vertical mixer provides a premium mix quality in efficient mix time and offers a superior hay length control. There are multiple unloading door options from side to rear. 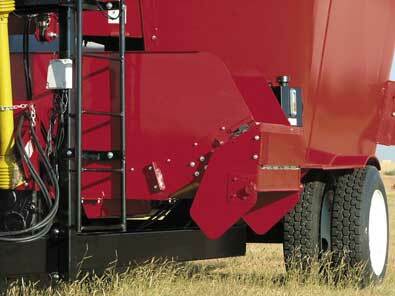 Available in truck, trailer or stationary, this unit is built for commercial use in larger dairy and feedlot operations.